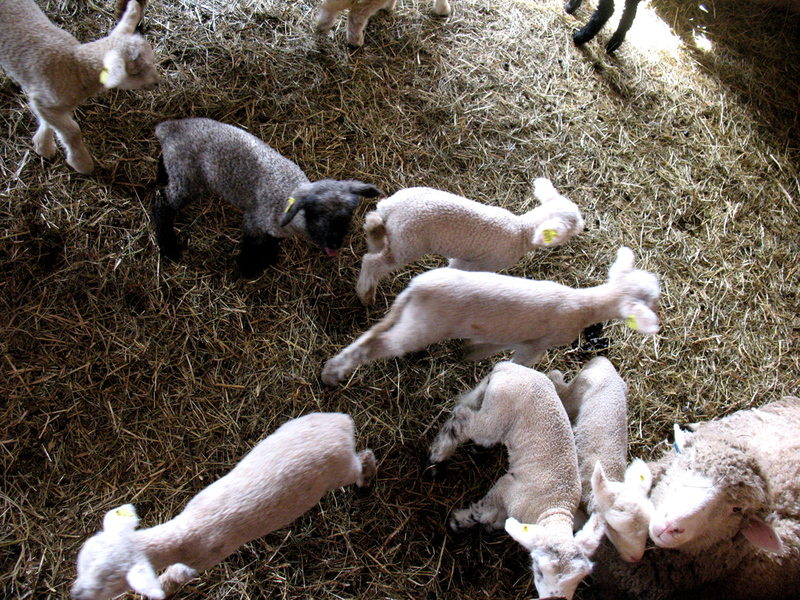 The madness that is the lamb nursery…often feels more like a playground. March Madness: The selection showcase, the sweet 16 and then the final four…I’m not talking about the NCAA basketball tournaments. I’m talking about the lambing season. In October we selected which ewes would be turned in with which rams, and separated the different groups. 145 days later (give or take) the lambs started being born. So as the final game was being played on this past Monday night, our third to last ewe decided to have her lamb. But that still leaves us with two ewes, facing off in the final moments… but really the lambing season should be over by now. 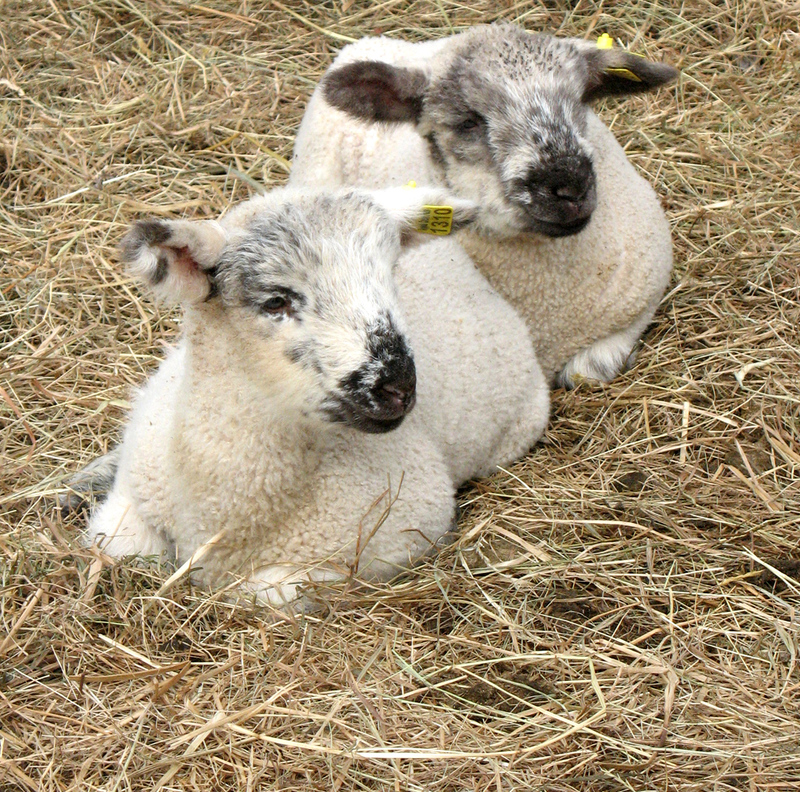 In 2012 we wrapped up lambing in exactly one month – February 22 to March 22. That was slick. 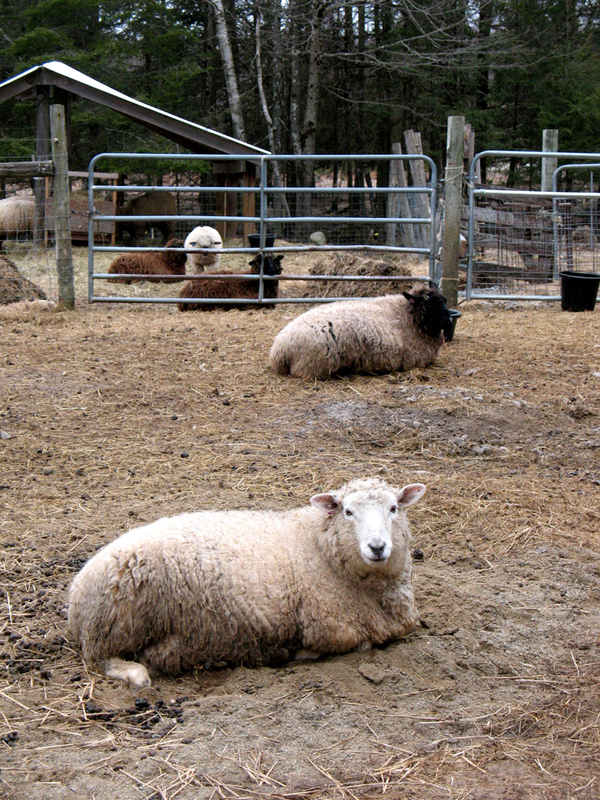 Sappy is the colored ewe in the back, Hyacinth the white one in the front. Both striking the same pose. This year though we have two holdouts: Sappy and Hyacinth. They are sisters of course. Well half-sisters as they share the same sire. They were born in 2009 and the other night after a barn check at 2:30 am I looked back through our lambing records to discover that Sappy is consistently the last to lamb since she began having lambs in 2011. Hyacinth is more a wild card. In 2011 she was the fourth to last but was in the top five to lamb in 2012. I’m sure one could account for varying gestation times, longer heat cycles, or a lazy ram. I however like to believe these two, now the size of barrels, really are trying to psych one another out. Or they have some sort of bet; which one will be the last to lamb? We continue the nightly 2 and 4 am checks, even though you get out there and all is quiet. My dad always likes to say, “The one night you don’t go out will be the night they lamb…” and implying, will need our help. Sure would be nice to get this season wrapped up this week. My money is on Sappy to be the last. But I’m sure both will have twins whenever they finally decide to.